We provide residential and commercial locksmith services catering for individuals all the way to small and large companies. Why break the lock, when it is easier and cheaper to contact your local emergency locksmiths in Acton! We can advise you over the phone and get to your location within a few minutes to fix your locks and secure your property. Locked out of your or car? Keys stuck or broken? Don’t panic call now and we will get a locksmith to you right away. Our auto services are available 24hrs a day across the whole of London and your area of Acton. We are proficient, friendly and easy on the pocket; normally responding within 30 minutes. We provide help when you’re locked out or when you need a solution to any issue with your doors, locks or safes in residential premises. Our wide array of residential services can also assist with your home security. We will help to keep your businesses and commercial premises secure. We frequently perform work for pubs, restaurants, clubs, gyms, leisure facilities, hotels, offices, shops and other commercial buildings. Locked out, Lost or Broken Car Keys? Don’t worry! We will help you. Our engineer will provide you with best auto locksmith services, once you call us. Your needs are our priority and we are here to serve you in any way possible. Finding a locksmith in London with affordable price? 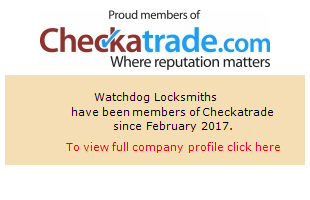 Watchdog Locksmiths provide local emergency locksmith solutions for your residence, business or automotive needs in the Greater London area. Our Services include Lock Change, Lock installation, Car Lockout, House Lockout, Car Key replacement, safe repair & installation and many more related to Locksmith. We provide services within 30 minutes you make a phone call serving throughout the day even in the night time. Choose any one and call on adjacent phone number or visit their site. Else contact us, we will find a better one for you! If you need to replace or change your door locks, auto locks. We have locksmiths located in Acton, West London. We will fit and supply the highest quality of ABS security locks as well as various Brands with affordable price. Locked Out, Need a Lock Change & Repair?‎ Call Watchdog Locksmiths, In less than 30 minutes, our local locksmiths will be at the address you required and will fix your locks problem. No call-out charges.